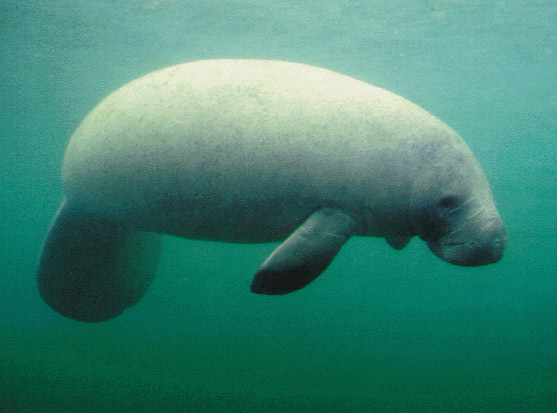 The Caribbean Manatee: special post for the week of manatee conservation, Sept. 7 through Sept. 15, 2014. In both AP Bio and 10 Bio, we’ve been discussing the fundamentals of life, which include a lot of chemistry. Notice the pattern of distribution. What can you say in regards to this? What properties of water account for this distribution? 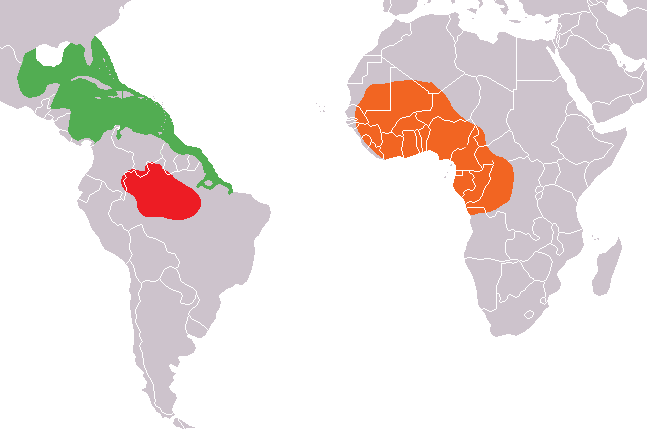 The antillean manatee (Trichechus manatus) is distributed in the green area, Puerto Rico included. These organisms are threatened by our own industrial exploits. Habitat depletion, water sport injuries, niche disruption, irresponsible tourism, hunting, illegal poaching… The lives of these gentle herbivores, mistaken for sirens during the early days of European colonization and conquest, have been tragic. Notice the incredible amount of fat. AP Bio students: What is “fat”? What is its chemical nature? Why is it important for life? “Manatees have sensitive tactile hairs that cover their bodies and face called vibrissae. Each individual hair is a vibrissal apparatus known as a follicle-sinus complex (FSC). 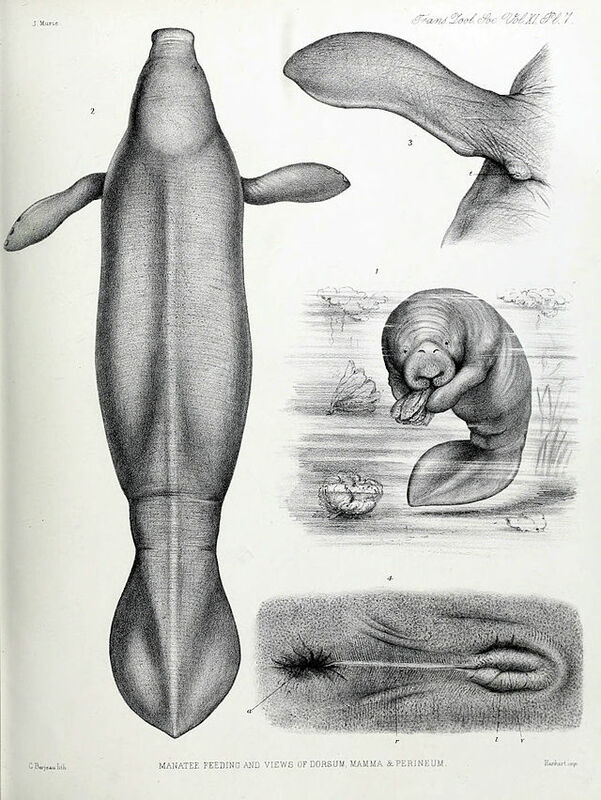 Vibrissae are blood filled sinuses bound by a dense connective tissue capsule with sensitive nerve endings that provides haptic feedback to the manatee. Usually vibrissae are found on the facial regions of terrestrial and non-sirenian aquatic animals and are called whiskers. Manatees, however, have vibrissae all over their body. The vibrissae located in their facial region are roughly 30 times denser than the vibrissae on the rest of their body. Their mouth consists of very mobile prehensile lips which are used for grasping food and objects. The vibrissae on these lips are turned outward during grasping and are used in locating vegetation. Their oral disk also contains vibrissae which have been classified as bristle-like hairs (BLH) that are used in non-grasping investigation of objects and food. Manatees are awesome animals who are suffering because of the human race. People are killing them for fun, and it shouldn’t be that way. Manatees can do extraordinary things that humans could never do, for example: manatees can remain underwater for 15 minutes without breathing, they can eat a tenth of their own body weight in just 24 hours. In conclusion I think that manatees are very cool animals and they shouldn’t in danger of extinction because of the human race. Manatees are often overlooked and categorized as non important. But these creatures are one of the most amazing sea mammals alive. I didn’t know about the diverse abilities of the hairs on their body. If i wasn’t fascinated enough before i am more now. We should truly make an effort to prevent them becoming extinct because it would really be a shame to see these amazing creatures not on this earth anymore. One would think that just by their inoffensive and passive stand that manatees have people would leave these animals alone but they still face numerous amount of threats ranging from irresponsible tourism to hunting. It is sad how people don’t respect nature especially if it is not intervening in any kind of way. There are multiple laws and organizations trying to protect the manatee just because of our irresponsible actions and inconsideration towards nature and the other organisms that we share the planet with. After many years of manatee’s being extinct, recently, manatees have been taken off of the endangered animal list.